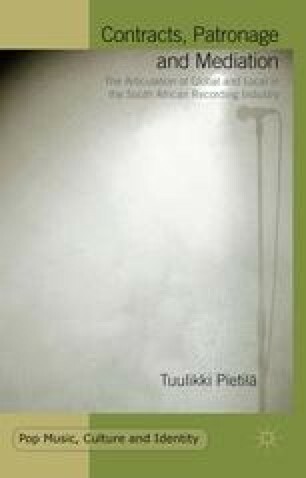 This chapter focuses on the major historical developments in the South African recording industry. This is a very eventful and vibrant history with an early presence and intertwinement of international and local labels and hefty competition between the local operators in particular. In addition to the international and local labels, the chapter discusses the historically varying role and value of international and domestic music in the market and the industry participants’ discussions concerning the issue.